The professionals at Araoz Painting & Remodeling have provided general contractor services specializing in home remodeling, patio / porch additions, renovations, handyman services, and residential painting for over 40 years. We are dedicated to exceeding your expectations by providing quality services at affordable prices. Whether you are interested in a kitchen or bathroom remodel, new coat of paint or other related service; our philosophy is the same. We strive to exceed your expectations by providing premium remodeling and repair services using the best quality products available on the market. 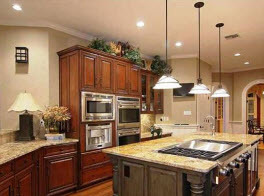 Our high quality kitchen remodeling services are a great way to bring the kitchen of your dreams to a reality. If your kitchen is more than 10 years old, now is the perfect time to think about a remodel. At Araoz Painting & Remodeling, we can help you plan, design and build the kitchen that you have been dreaming of to match your individual style, needs and budget. We have literally hundreds of styles and finishes available for you to choose from and our experienced design specialists will give you guidance from start to finish. Our comprehensive services include: Kitchen Design & Planning, Custom Kitchen Renovations & Upgrades, Countertops, Cabinets, Backsplashes, Tile, Flooring, Kitchen Additions & Expansion, Lighting and much more! 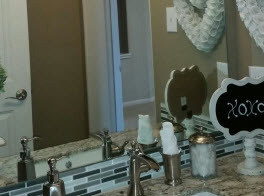 Remodeling your bathroom will not only improve the appearance of your home it will also add to your investment. Why? Because bathroom remodeling offers one of the highest returns of any improvements that you can make within your home. The knowledgeable experts at Araoz Painting & Remodeling can expand your old bathroom and install a custom shower along with providing effective solutions to all of your bathroom requirements. From flooring, to vanities, to bathtubs, lighting, tiles, shower surrounds and more we have the experience needed accomplish all of the requirements listed on your wish list. Our comprehensive services include: Bathroom Design & Consultation, Custom Tile & Stone Showers, installation of Bathtubs, Bathroom Flooring, Vanities, Countertops, Shower Surrounds, Lighting &, Much More. The skilled professionals at Araoz Painting & Remodeling are available to tackle all of your home repairs, from honey-do lists to major home repair projects. 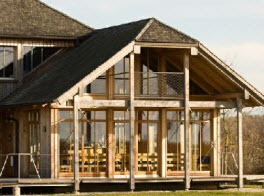 As a company, we pride ourselves on providing quality craftsmanship at affordable prices. From Carpentry, Painting, Drywall, Flooring, Tile, Gutters, overall Maintenance and Repairs, you can result assured that our high quality workmanship will be performed on time at a price that you can afford. 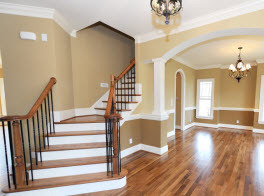 The decision to paint the interior of your home is an important one, and the interior painting specialists at Araoz Painting & Remodeling understand that navigating through the different colors, finishes and products can be confusing especially when you are attempting to determine if the overall quality of the finished project will be right for you. At Araoz Painting & Remodeling, our highly skilled painters have years of experience with residential and interior painting and are available to help you select the best products and finishes that will not only complement your décor but provide you with years of service in your home or business. From a single room in your home, to the entire interior of your building, you can rest easy knowing that our capable painters will provide you with the high quality service and products that you have been searching for. Our Interior Painting Services Include: Painting Walls & Ceilings, Trim & Molding, Interior Wood Staining (such as Cabinets, Doors & Trim), Wall Texturing, Drywall Repair & Finishing, Wall Paper Removal and much more! Painting the exterior of your home or business is not only the best way to improve the curb appeal; it will also act as a barrier of protection against sun, wind, rain and snow. The changing seasons can wreak havoc on the exterior of your property and overtime your existing paint will begin to flake and peel leaving your building exposed. At Araoz Painting & Remodeling we specialize in professional exterior painting services for homes, garage doors, trim, decks, out buildings, and much more!